Silverstone hosts round three of the FIA World Sports Car Championship WEC on 19 August. After scoring a double victory at Le Mans, the Porsche GT Team travels to England leading the drivers’ and manufacturers’ classifications in the GTE-Pro class. 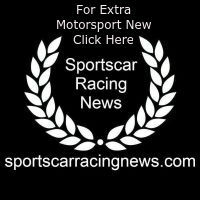 A six-strong fleet of 510 hp Porsche 911 RSR will tackle the race on the 5.901-kilometre tradition-steeped circuit in the British Midlands: two in the GTE-Pro class and four in the GTE-Am class. In 2017, the latest generation Porsche 911 RSR celebrated its WEC debut at Silverstone. At last year’s season-opening race on the British circuit, the Porsche works drivers Richard Lietz (Austria) and Frédéric Makowiecki (France) promptly scored a podium spot, with the 2017 vice champions concluding the race in Great Britain on third. The Silverstone circuit hosted the first modern-day Formula 1 Grand Prix in 1950. Legendary corners such as Becketts, Copse and Stowe were carved out of the grounds of a former military airbase. Richard Lietz and Gianmaria Bruni tackle the six-hour race in the #91 car. Bruni from Italy won the WEC Silverstone race in 2012 and 2015, while Lietz crossed the finish line first there in 2014. The cockpit of the #92 Porsche 911 RSR is shared by Le Mans champions Kévin Estre from France and Michael Christensen from Denmark. After winning the world’s toughest endurance race earlier this year, the two drivers now lead the drivers’ classification in the GTE-Pro class. Porsche currently ranks first in the manufacturers’ classification. Three customer squads field four more 911 RSR in the GTE-Am category. Porsche Junior Julien Andlauer (France), Christian Ried from Germany and Porsche Young Professional Matt Campbell (Australia) compete in the #77 car. Driving for Dempsey Proton Racing, the trio travels to Silverstone leading the drivers’ and team classification after scoring a class victory at Le Mans. Manning the sister car are Porsche Young Professional Matteo Cairoli (Italy), Khaled Al Qubaisi from the United Arab Emirates and Italy’s Giorgio Roda. Out of all the teams that contested the GTE-Am class at the Le Mans classic, the drivers of the #88 vehicle achieved the best grid position. Competing in the 911 RSR campaigned by the Project 1 team are Porsche works driver Jörg Bergmeister (Germany), Patrick Lindsey from America and Norwegian Egidio Perfetti. The two Englishmen Michael Wainwright and Ben Barker join forces with Alex Davison from Australia in the cockpit of the nine-eleven run by the British customer team Gulf Racing. 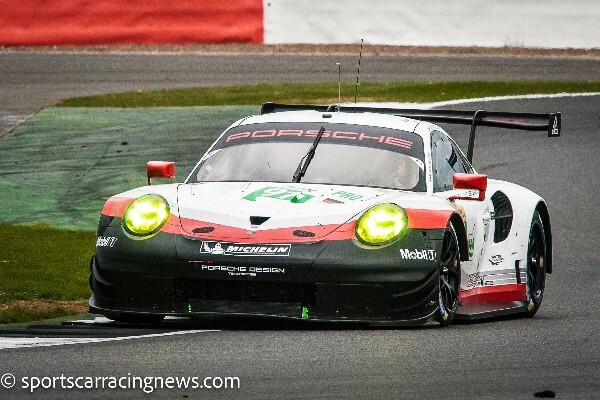 The Porsche 911 RSR celebrated its WEC debut at Silverstone in 2017. So far this season, the racer from Weissach has clinched a one-two result in the GTE-Pro class at Le Mans as well as the GTE-Am class win. The water-cooled four-litre boxer engine is based on the seventh generation of the iconic 911 sports car and produces around 510 hp depending on the restrictor. The #91 and #92 vehicles tackled Le Mans sporting a special historic design. For the Silverstone round, the Porsche GT Team will revert to the factory design with the primary colours white, red and black. The six-hour race at Silverstone gets underway on Sunday, August 19, 2018, at midday local time (13.00 hrs CEST).